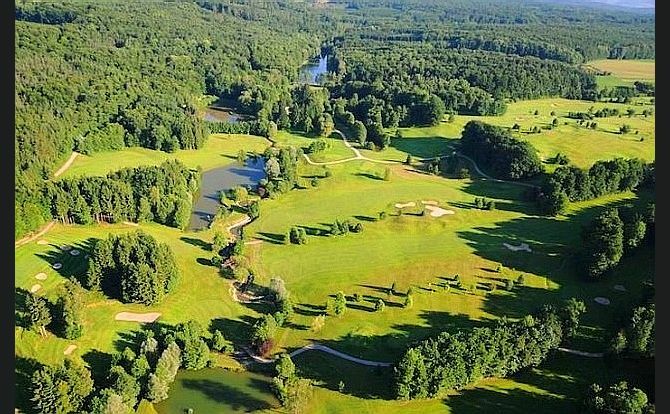 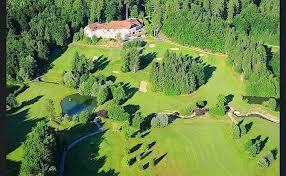 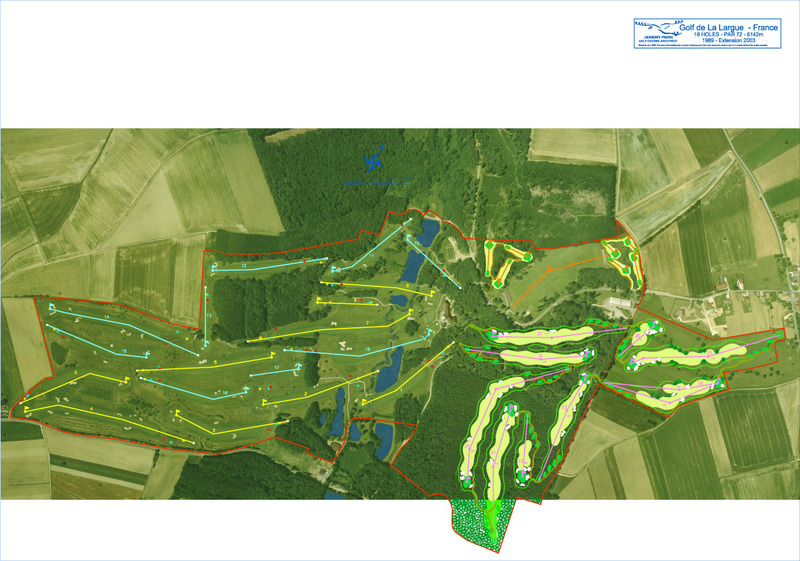 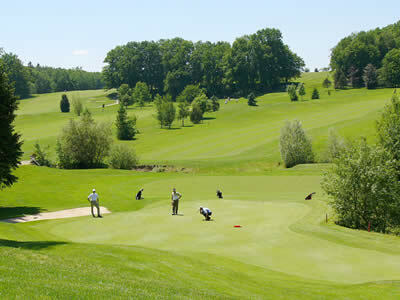 A Swiss golf club in France - the golf course is split by La Largue, a small stream that during the first world war formed the front between the French and German armies. 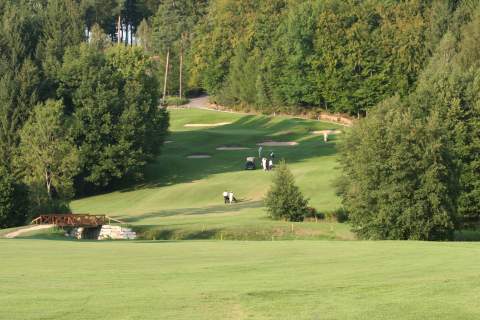 Trenches from the war were incorporated within the design of the course. 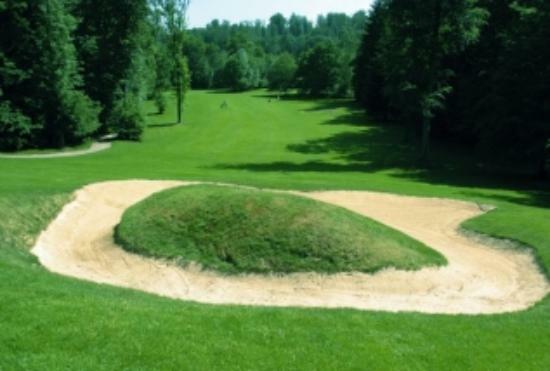 Given a 15/20 rating in the Peugeot Golf Guide - "Part woodland and part links, this is a visually impressive layout where the main hazards are the trees and numerous bunkers."